I'm not a guitar teacher...no wait, I am a guitar teacher! This seems like a simple idea, like it's just about degrees of laziness, but until a student finds the deeper love and want to play guitar (indeed for anything that requires time and effort to achieve a goal) - then you have to remove blockers. Such as taking your guitar out of its bag after coming back from a lesson, that alone can block a student from practising. I'm calling that the second most important thing to buy after you buy your instrument is a stand to put it on. They are so cheap too! 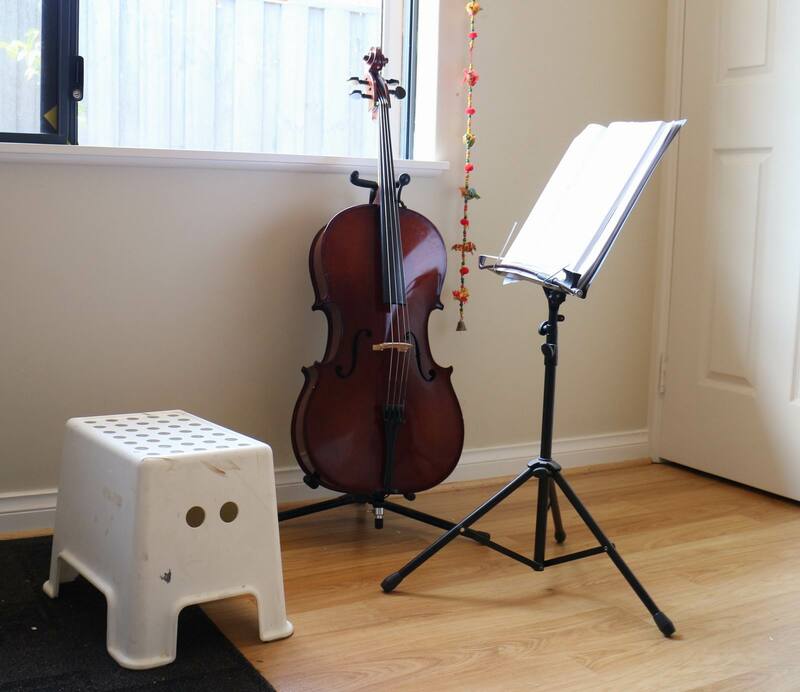 I bought a heap of instrument stands for around $AUD15 online delivered to my door, and everyone in my house learning an instrument got one. 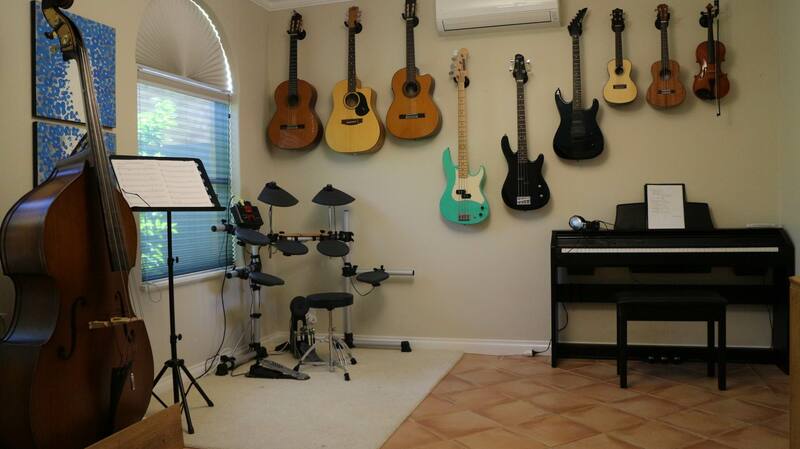 So at any time, the instrument is right there, and they can pick it up and play. Even 5 minutes a day gets those neurons synapsing and creates new behaviour. Do it. Instrument stand. My youngest daughter is learning the cello and look it's right there in her room, waiting for her, at all times. And it's made a difference, she plays it regularly, often without prompting! Now there are other options for easy access to your instrument. It's great to have one guitar on a stand somewhere handy, but when there are say 4 of them gathered into a room they take up a lot of space. I switched to wall mounting instruments, again, easily sourced online and very cheap. My wife likes the "look", they are still easy access, and the best part is you get floor space back. And how nice is it to sit in a calming room full of instruments. Good if you have an available room that is!